The US Global Change Research Program has released a draft national assessment on climate change (here in PDF) and its impacts in the United States, as required by The US Global Change Research Act of 1990 (which incidentally was the subject of my 1994 PhD dissertation). There has been much excitement and froth in the media. 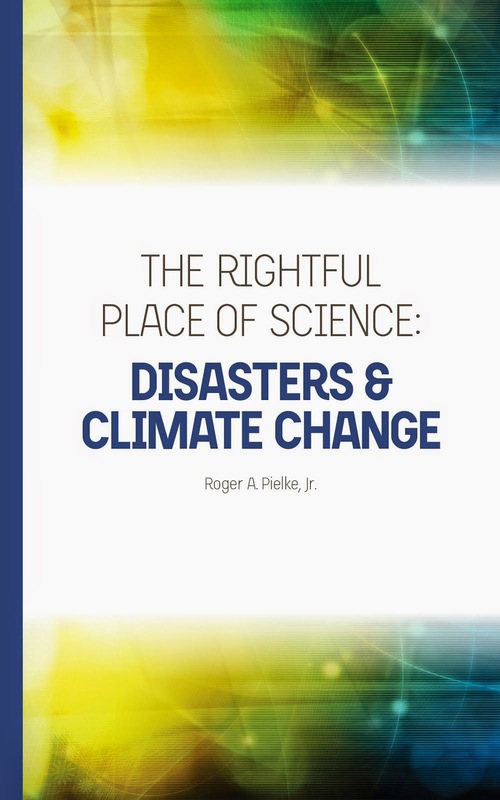 Here I explain that in an area where I have expertise on, extremes and their impacts, the report is well out of step with the scientific literature, including the very literature it cites and conclusions of the IPCC. Questions should (but probably won't) be asked about how a major scientific assessment has apparently became captured as a tool of advocacy via misrepresentation of the scientific literature -- a phenomena that occurs repeatedly in the area of extreme events. Yes, it is a draft and could be corrected, but a four-year effort by the nation’s top scientists should be expected to produce a public draft report of much higher quality than this. Since these are strong allegations, let me illustrate my concerns with a specific example from the draft report, and here I will focus on the example of floods, but the problems in the report are more systemic than just this one case. [T]he document minces no words. “Climate change is already affecting the American people,” declares the opening paragraph of the report, issued under the auspices of the Global Change Research Program, which coordinates federally sponsored climate research. 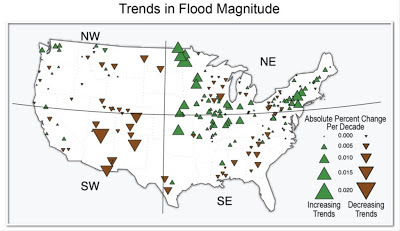 “Certain types of weather events have become more frequent and/or intense, including heat waves, heavy downpours, and, in some regions, floods and droughts." The SREX is consistent with the scientific literature -- neither detection (of trends) nor attribution (of trends to human forcing of the climate system) has been achieved at the global -- much less regional or subregional -- levels. Yet, USGCRP concludes otherwise. Given the strength of the science on this subject, the USGCRP must have gone to some effort to mischaracterize it by 180 degrees. 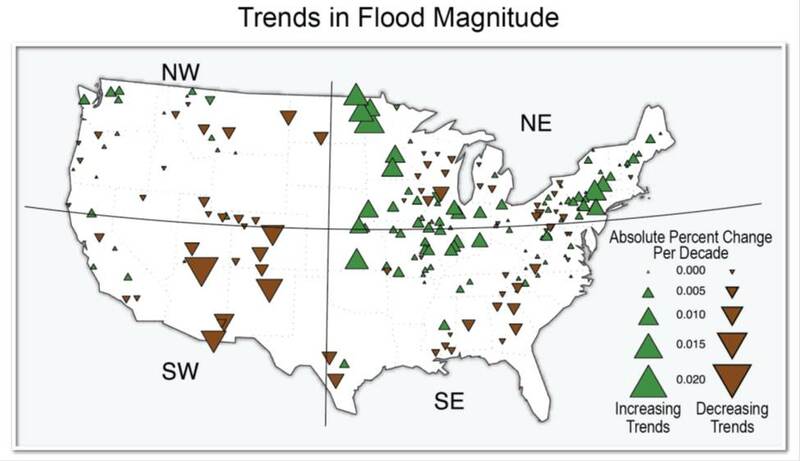 In areas where I have expertise, the flood example presented here is not unique in the report (e.g., Hurricane Sandy is mentioned 31 times). Do note that just because the report is erroroneous in areas where I have expertise does not mean that it is incorrect in other conclusions. However, given the problematic and well-documented treatment of extremes in earlier IPCC and US government reports, I'd think that the science community would have its act together by now and stop playing such games. So while many advocates in science and the media shout "Alarm" and celebrate its depiction of extremes, another question we should be asking is, how is it that it got things so wrong? Either the IPCC and the scientific literature is in error, or the draft USGCRP assessment is -- But don't take my word for it, check it out for yourself.